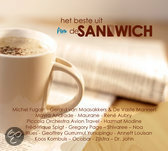 The song Farewell Shalabiye has turned up on the compilation cd from the dutch radio show ‘De Sandwich’. The cd is a ‘Best of’ album on which radio makers Jacques Klöters and Angelique Stein put their favorite music. The cd is for sale in the record stores and at Bol.com where you can also see what tracks are ON the cd besides NO blues. 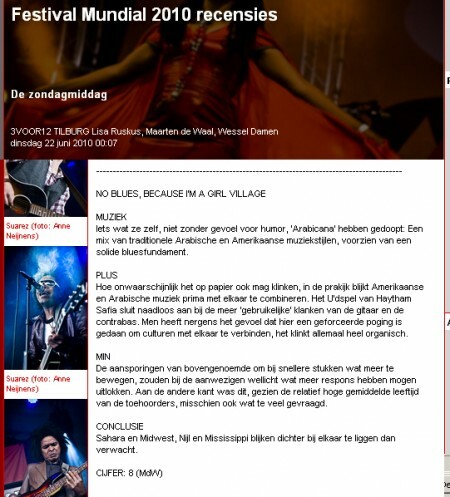 NO blues is asked to write a song for a school anthem. The band is remaking Longa Shanaaz for the school anthem of multi cultural school Mozaiek in Deventer (Holland). The lyrics are based on the feeling the children get from their school. The song is being recorded in april and hopefully later this year, the band will perform the song with school kids, parents and teachers.